“Guided Selling” helps vendors of products actively guide their customers to a buying decision. In doing so, it increases their enquiry to sale conversion rate. In today’s competitive market, manufacturing companies should consider building guided selling into their digital strategy. This approach is often described as a Configure, Price, Quote (CPQ) solution. CPQ software enables companies to develop customization strategies that provide a superior service whilst also ensuring that their business operations are running smoothly. The software is often used by sales teams to guide the customer through the product selection process and to provide accurate quotes and sales documentation quickly. CPQ solutions are built on rules, workflow, user interface, and typically need to integrate with other company systems. 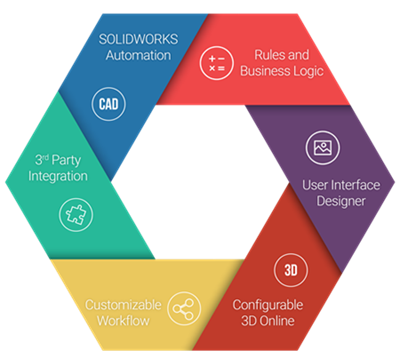 These are the core technologies and capabilities that have underpinned DriveWorks since the software was first introduced to the SOLIDWORKS market in 2001. At DriveWorks we’ve developed a CPQ template to make it easy for manufacturing companies to quickly reap the benefits of guided selling and CPQ. It’s a series of DriveWorks projects and templates that when combined, create a powerful CPQ solution. 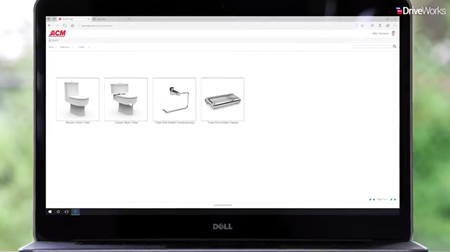 This is a starting point for any DriveWorks customer and it can be used as a complete CPQ solution or taken apart to use individual features and functionality. The DriveWorks CPQ template enables you to select which products can be configured, using existing DriveWorks product configurators, what pricing to apply and what data to pass to and from any other company systems such as ERP and CRM. Your DriveWorks and CPQ administrator can manage access and permissions to the CPQ front end and add product configurators at any time. That way you can customize the solution for use by inside sales teams, dealers, distributors and even customers. DriveWorks CPQ dashboards can also be customized so the administrator has specific views for quoted items, pending orders and so on. Out of the box, the appearance of the DriveWorks CPQ template is white label, which means that it can also be customized to reflect your corporate branding and image. Select which products can be configured. Customized CPQ dashboards for administrators. 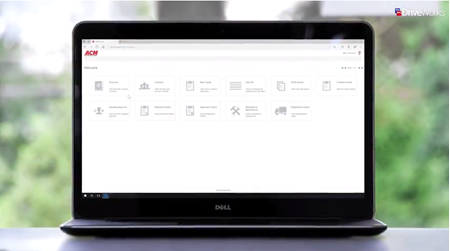 These short videos explain how different people within your company (Customers, Distributors, Sales Teams and Sales Adminstrators) could interact with your DriveWorks product configurators to help your company sell digitally.